If it’s true that every translation must inevitably fail, this passage would be Exhibit A. 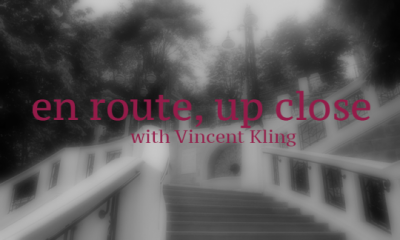 In this final installment of Vincent Kling’s translation column, En Route, Up Close, Kling discusses the difficulties of translating complicated works and considers whether one should remain loyal to meter at the expense of feel and fluidity. Kling explores translation in all its layered complexity, demonstrating with characteristic erudition and generosity the reasons why literary translation as a form resists the confines of any universally accepted code. 1. The Relatively Easy One. Two newly acclaimed releases, Emily Wilson’s translation of the Odyssey and David Ferry’s of the Aeneid, have prompted some discussion about what elements can and should be reproduced as closely as possible and what should—or indeed must—be altered. Reviewers are mainly concentrating on meter, because it is usually agreed that Homer’s and Virgil’s dactylic hexameters come across awkwardly in English; even a technical virtuoso like Longfellow couldn’t always make six-beat dactylic lines work in Evangeline. Both Wilson and Ferry have opted for blank verse (beautifully rendered in both cases), and even strict Augustans like Dryden and Pope knew better than to espouse a line that’s too long for flexibility in English. It was Dryden, after all, who adopted the idea of “imitation,” of the need to respect the nature of the target language. Later, Richard Wilbur shrewdly recast Molière’s alexandrines into pentameter, a decision that finally made the French dramatist’s work performable, even palatable, in a meter that best follows the contours of English accentuation. Anthony Hecht similarly forged vigorous, muscular heroic couplets out of Voltaire’s six-stress lines in his “Poem upon the Lisbon Disaster,” an idiomatic, fast-moving translation that is at its most ‘faithful’ in changing six beats to five.